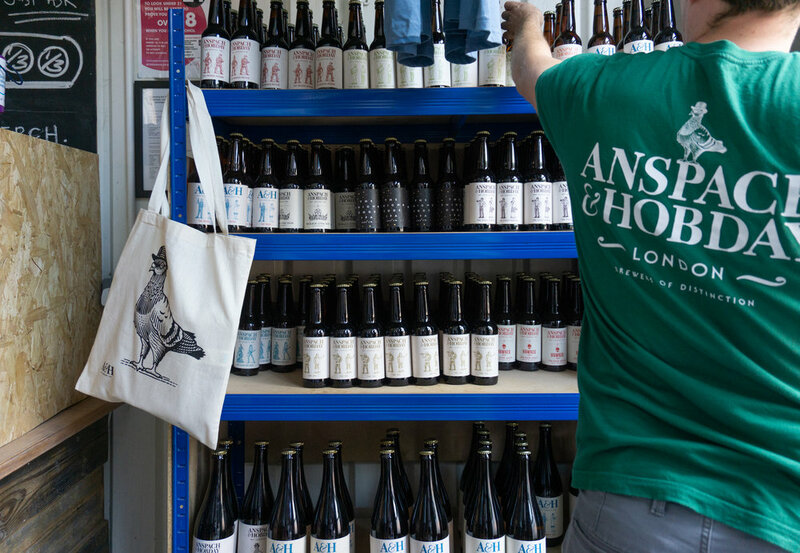 Located in the arches on the iconic Bermondsey beer mile, our taproom and brewery is where all the craft magic happens. Swing in and sample one of our nine delicious beers on tap, and even grab a couple to take away. Saturday afternoons are exceedingly busy. So, for the best experience, we recommend coming early (we’re open from 10:30am on Saturdays) Cheers! Hungry? We recommend trying some local flavour from the nearby Maltby Street Food Market (Sat & Sun) or Druid Street Food Market (Sat only) and enjoying them in our taproom with a freshly brewed cold beer. Fancy hosting an event in The A&H Taproom? We’re available for parties, work events, craft classes and of course, beer tastings. With a capacity of up to 100 people, our taproom is the perfect venue for all your craft needs. We’re available for hire Thursday and Saturday evenings. For availability and enquiries, just email Joe at events@anspachandhobday.com. The Pigeon, our new beer bar in Camberwell, is also available for hire afternoons and evenings. For availability and enquiries, just email Joe at events@anspachandhobday.com. Share you email address to stay up to date and have a Crowdfunder Beer on us.